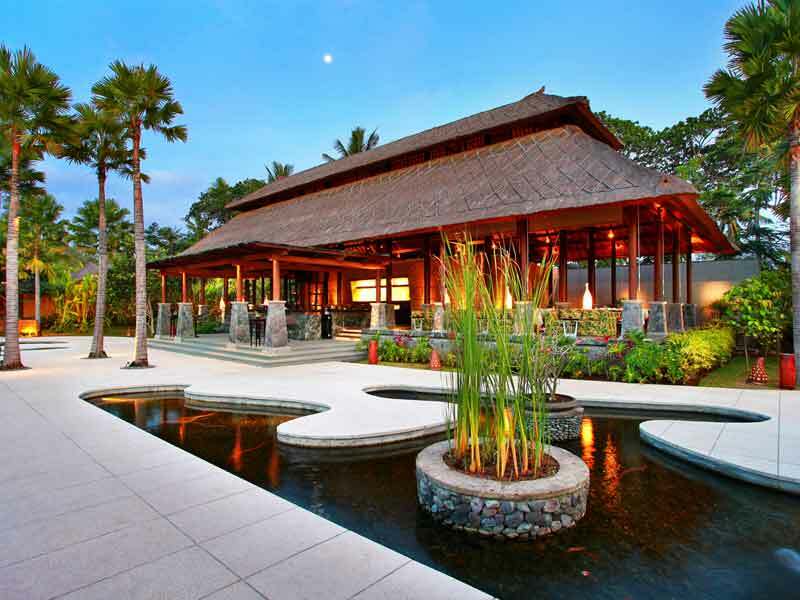 Amarterra Villas, where water meets land, is a true expression of tranquility in Bali. 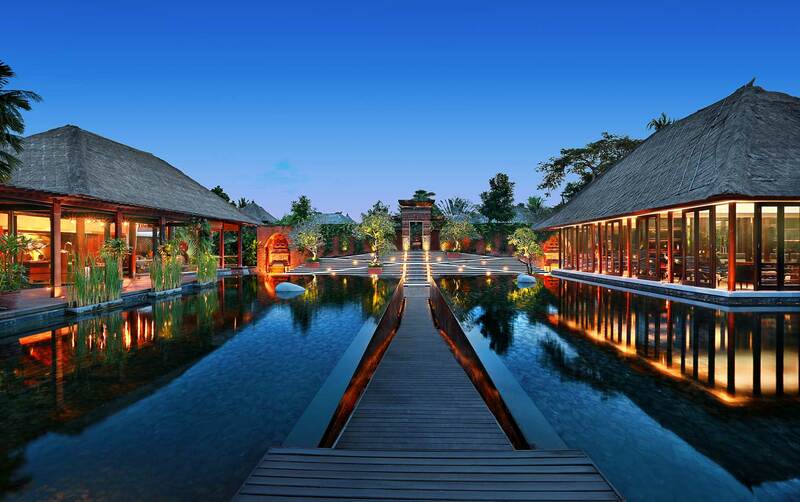 This resort village is elegantly designed to highlight Balinese heritage in 5-star luxury. An ideal destination for all seeking an escape from the hum of daily life – a dream honeymoon holiday and couples retreat. 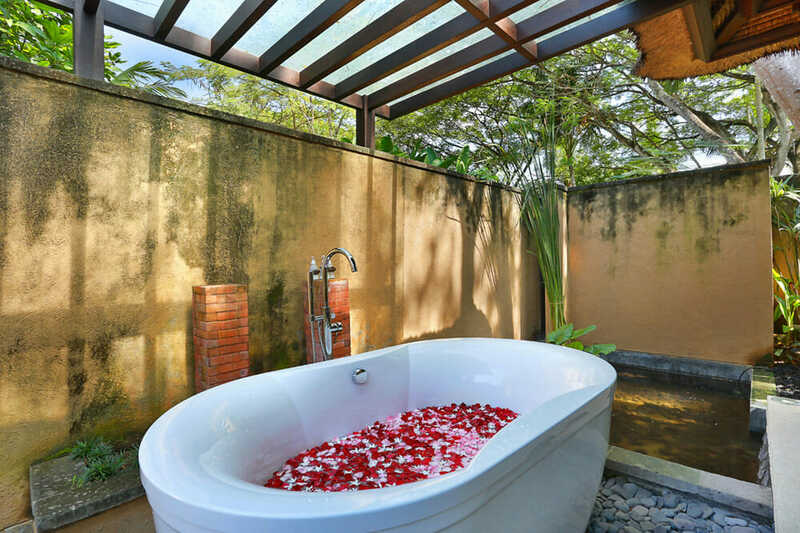 Luxurious Amarterra Villas is a collection of private pool villas inspired by the beauty of Bali’s culture and surrounds; just minutes from Nusa Dua Beach. This 5-star luxury resort is a hub for relaxation and leisurely holiday activities. Spend your day on the immaculate 18-hole golf course or opt for holistic energy healing at the resort’s spa. 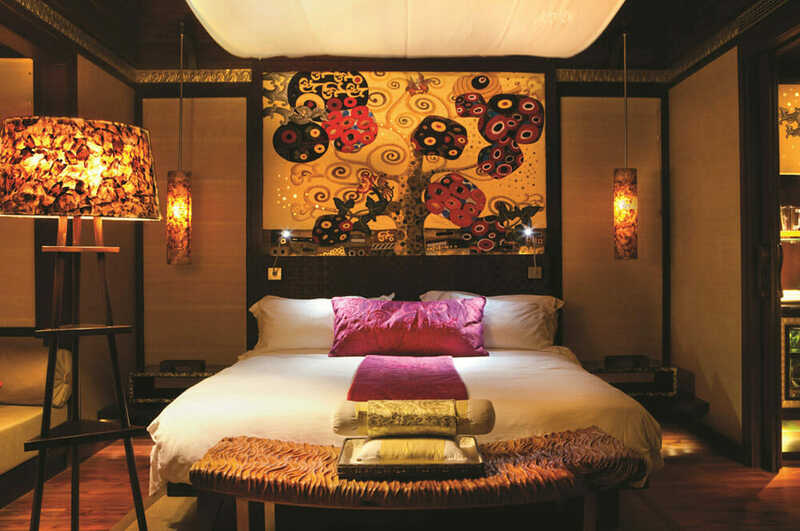 Steeped in Balinese tradition and thoughtful design, it will be hard not to ease into a holiday of balanced calm. The resort’s villas are a paradise within themselves! A place of calm indulgence, each villa houses a spacious outdoor gazebo that overlooks your own private pool and Jacuzzi. These villas are elegantly designed to interweave the best of Balinese culture with all the luxurious comforts you desire. Surrounded by manicured gardens and offering the highest quality hospitality you’ll never want to leave! During the day, book into the spa and immerse yourself in the philosophy of Dharma for complete soul relaxation and healing. Then for dinner, retire to the Terra Terrace Restaurant & Bar to experience the rich palette of Indonesian cuisine in style. 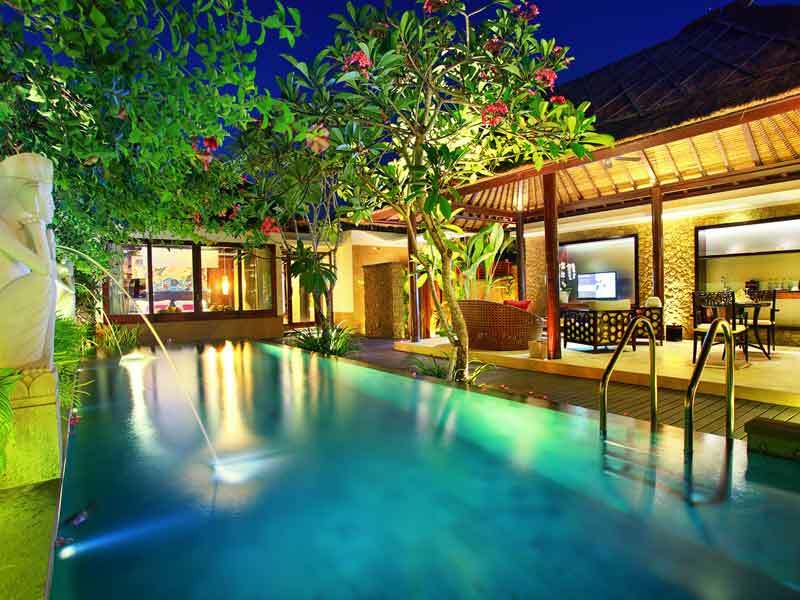 Why go to Amarterra Villas Bali? 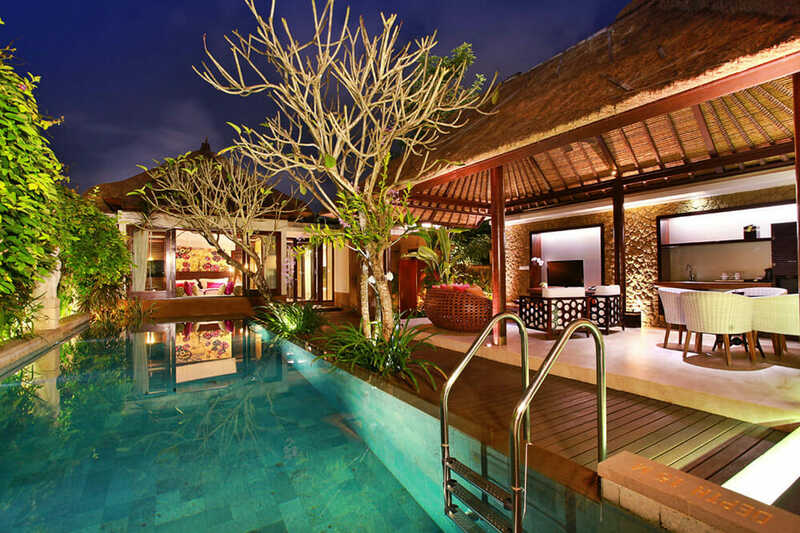 Amarterra Villas celebrates Balinese culture in 5-star luxury. Enjoy your own private oasis, rejuvenate with a customised spa treatment, or wander down to Nusa Dua beach and immerse yourself in the panoramic surrounds. Your relaxation is the focal point at Amarterra Villas! 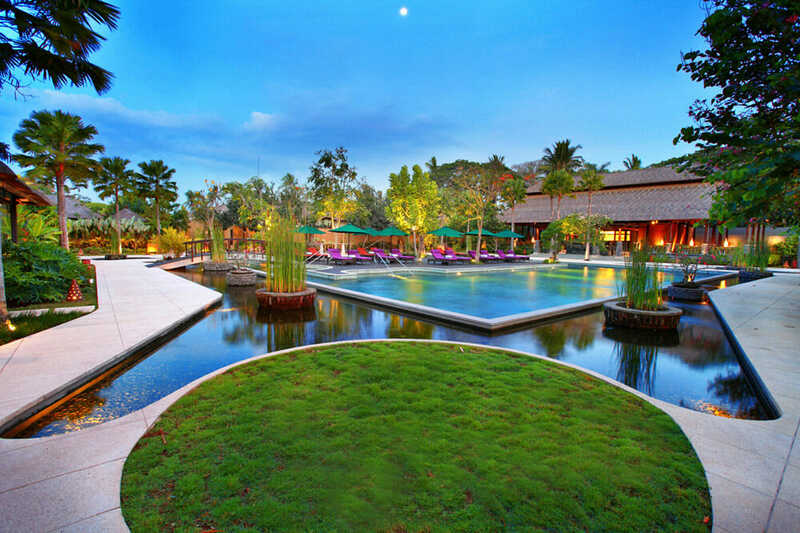 This resort offers a true balance of indulgent seclusion while, being only a short distance to the luxurious 18-hole golf course and high-end shopping of Nusa Dua. If Amarterra Villas is the perfect luxury escape for you, give us a call now on 1300 332 254! Nusa Dua means “Two Islands” in Balinese and on each you’ll find a humble Balinese temple. 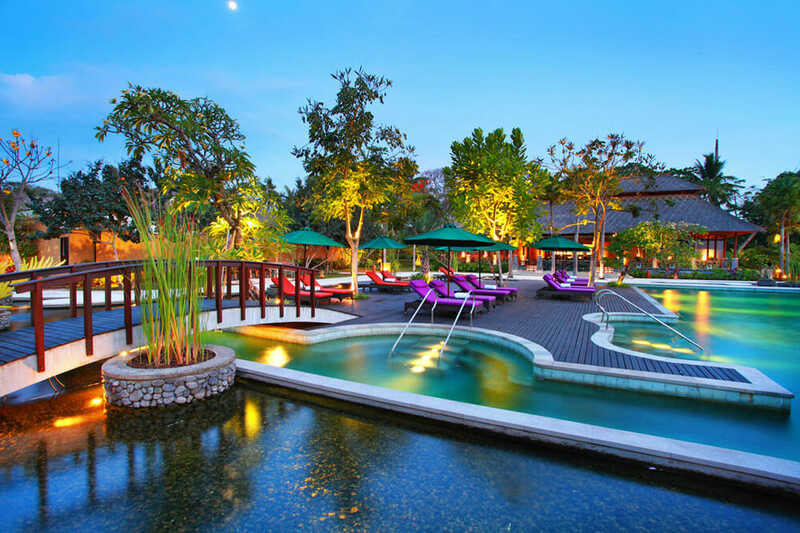 Perhaps, better known as Bali’s luxury gated resort area, this is the place you go for complete calm and pampering. Imagine, sipping cocktails and watching gentle waves hit offshore reefs. Join the evening torch lighting ceremony or simply indulge in the resort’s spa treatments. 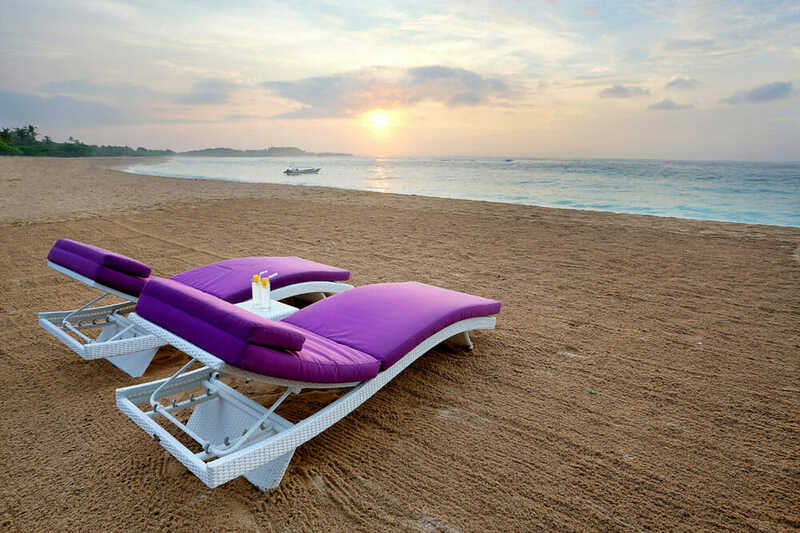 Nusa Dua is a quiet area where time well spent is in the form of relaxation – by the pool, at the beach or in the spa. Amarterra villas inspires calm and wellness for all guests. From the smiling service, to the restaurant and spa – your relaxation is their motivation. Finding Dharma (also known as “balance”) at the spa will take you on a journey of holistic healing. Offering foot rituals to deep tissue massages and all-natural coconut oil scrubs, you will leave feeling both uplifted and deeply relaxed. Hidden in between the lush garden surrounds, you’ll find the gym fitted with all modern technologies and a professional trainer at your service. Wander further afield to the Nusa Dua precinct where you’ll discover even more quality dining experiences, an 18-hole golf course and opulent shopping area. Nusa Dua promises to fill your holiday with dreamy spa treatments and leisure activities. Staying at Amarterra and experiencing its absolute beauty, relaxation and unparalleled customer service, made the most wonderful experience of my lifetime. The beauty of the manicured grounds and the tranquillity of our well-appointed villa gave us no reason to wander away from the premises. The restaurant, Terra, was phenomenal and the variety and quality of food on the menu was unbelievable. It was so good, we ate there every day! The staff were very personable and extremely service-oriented. The bottom line is we can’t wait to go back.